The officer responding to a 911 call at one of Houston's hippest high-rises expected the worst. After all, domestic violence situations can be unpredictable. But nothing could've prepared him for what he found: a beautiful woman drenched in blood, an older man lying dead on the floor, and a cobalt blue suede stiletto with tufts of white hair stuck to its five-and-a-half-inch heel. With her stunning looks, magnetic personality, and erratic behavior, Ana Trujillo had a notorious reputation on the downtown Houston scene. She spoke often of occult powers, though few knew how deeply she believed such boasts. Stefan Andersson was a gentle soul, a Swedish transplant with a good career and trusted friends, who was desperate to find someone special. Theirs is a story of obsession, madness, and tragedy. Because once Stefan fell head over heels for Ana, he was under her control-and he didn't have a chance in hell. 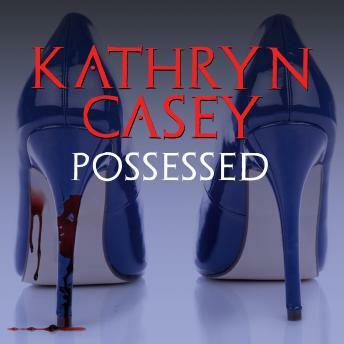 Nobody writes true crime the way Kathryn Casey does. As in all her books, she makes the story, settings and characters come to life. You feel you are right there with them, watching the tragedy unfold moment by moment and step by step. This is true crime that is beautifully written, thoughtful and utterly heartbreaking.